CURRENT NEEDS: "We're always on the lookout for exciting new pieces of fiction, poetry, and nonfiction. We also publish reviews of new books of poetry." Pays $30/page for poetry, $25/page for prose. Magnolia: A Journal of Women's Literature is currently accepting submissions for it's second volume. As a series dedicated to socially engaged literature, this collection caters to works often ignored by mainstream publishers, thereby representing a milestone in women's publishing. BORDERLANDS: Texas Poetry Review is a literary journal based in Austin, Texas that published poetry along with photographs, reviews and essays. Please submit a maximum of four outwardly directed poems that exhibits social, political, geographical, historical or spiritual awareness. We are open to traditional and experimental forms. Payment is one copy. Persimmon Tree’s mission is to bring the creativity and talent of women over sixty to a wide audience of readers of all ages. We are looking for work that reveals rich experience and a variety of perspectives. Each issue of the magazine will include several fiction and nonfiction pieces, poetry by one or more poets, and the work of one visual artist. The magazine is published quarterly, in association with Mills College. Chrysalis Reader is a contemporary journal of spiritual discovery. 5x5 is a concise literary magazine, which means we are looking for concise literature to print. 5x5 will consider almost any original, previously unpublished work for publication. We don't consider posting a piece to your own website to be "published." We accept simultaneous submissions as long as you tell us that you are submitting simultaneously and let us know right away if it's accepted elsewhere. Fiction stories 300 to 3000 words. Nonfiction stories 500 to 800 words. First line of the story must be "It had been a long year." Payment $20. Deadline November, 1, 2011. 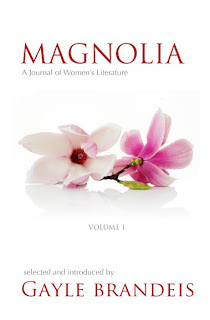 Online literary journal publishes flash fiction, short stories, poetry and creative nonfiction. Submit 1-5 poems or fiction and nonfiction up to 5,500 words. Accepts submissions only through the online submissions manager. The Journal of Compressed Creative Arts, http://matterpress.com/journal is looking for, as you might guess, "compressed creative arts." We accept fiction, creative nonfiction, poetry, mixed media, visual arts, and even kitchen sinks, if they are compressed in some way. We publish weekly. Our response time is generally 1-3 days. Also, our acceptance rate is currently about 1% of submissions. We pay writers $50 per accepted piece and signed contract. Windhover is devoted to promoting writers and literature with a Christian perspective. The journal accepts a broad definition of that perspective while remaining committed to its identity as a journal of Christian literature. We invite you to submit a short nonfiction piece (250-500 words) for our special section, "Short Takes." This section will appear twice a year, in the Summer and Winter issues. Tin House accepts submissions September 1 through May 31, and, as always, our summer and winter issues are not themed. Please submit only one story or essay (ten-thousand-word limit), or up to five poems at a time. Boulevard strives to publish only the finest in fiction, poetry, and non-fiction (essays, interviews, etc.). No submissions will be accepted from May 1 to October 1. POETRY - Submit no more than five poems at a time. We accept poems of up to 200 lines. We do not accept light verse. We pay $25-$500 (sometimes higher) for accepted work. Acorn is now open to submissions until August 31, 2010 for their January/February issue. Original, unpublished haiku, not under consideration elsewhere, are welcome from all writers. Please send submissions of 5-15 poems. an official publication of the Haiku Society of America. Prune Juice is seeking submissions of quality senryu and kyoka in English from writers across the globe. Please submit up to twenty senryu/kyoka at a time via email. Poems should appear in the body of the email – no attachments will be read. Please ensure that your submission has ‘PRUNE JUICE SUBMISSION’ clearly written in the email’s title field. Always include your name and a brief biography, even if you have submitted to us previously. Poetry: The tribute section will feature humorous poetry -- light verse, puns, parodies...you name it; just make us laugh. To submit via email or hardcopy, follow the regular guidelines, but please note in the cover letter that you are submitting for the humor tribute. Seeking literary essays telling personal stories for two anthologies, one focusing on birth parents, and the other on the subject of miscarriage. The submission deadline for both books is August 15, 2009, and payment in each case will be $50 plus one copy of the book. See www.catalystbookpress.com/Guidelines.html for more information. This annual journal is devoted to fairy tales as a contemporary art form and is accepting submissions of stories and poems until June 15, 2009, for its upcoming issue with the theme "Little Red Riding Hood."